Thanks once again to Twentieth Century Fox Home Entertainment for partnering with MommyBlogExpert to make another movie giveaway possible. This time it's the family-friendly new home entertainment release The Book of Life Blu-ray + DVD + Digital HD. This combo is loaded not only with the big screen animated film but also a generous offering of extra features. MommyBlogExpert's The Book of Life Blu-ray + DVD + Digital HD Giveaway ends March 10, 2015 at 12 am PT and is open to legal residents of the U.S. only. 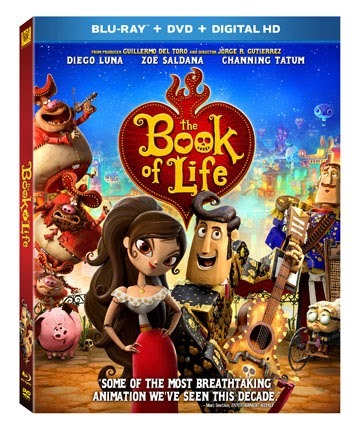 Fox Home Entertainment will awarded ONE (1) The Book of Life Blu-ray DVD combo ARV $39.99 to winner. Winner of this MBE contest will be selected at random from all entries and will be notified via email and must respond within 24 hours to claim their prize. 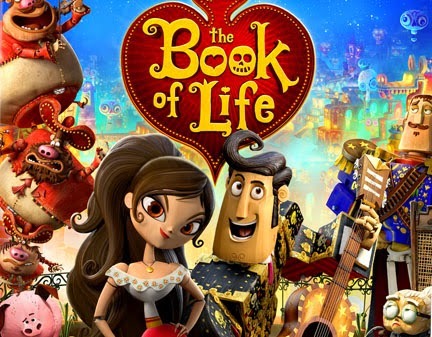 To learn more about The Book of Life, read the review. You can also keep up to date on everything else Twentieth Century Fox Home Entertainment is doing by visiting Foxconnect.com and following the movie studio on Facebook and Twitter. FTC Disclosure: In connection with this #BOLInsiders post, I disclose that I am a Fox Home Entertainment Insider #FHEInsiders brand ambassador. I received the related Blu-ray DVD to facilitate this giveaway, the associated review and free The Book of Life printables posts. In addition to the complimentary printables for readers, Fox is supplying the prize and shipping for MBE's The Book of Life Blu-ray DVD Giveaway. However opinions here are my own. See complete FTC Disclosure information that appears at the bottom of MommyBlogExpert's main page and at the bottom of every individual post on this blog, including this one. me, the animation looks cool. I would like to win this for Alysia, who is 6 years old because I was unable to take her to the theater to see it. My family because I heard it is a good. I would like to win this for my grandchildren because I love them! I want to win this to watch with my husband and our three boys. Thanks for the chance! I would like to win this DVD for my daughter because she has been wanting to see the movie. Thanks for having the giveaway. I would love to win it for my family so we have a good family friendly movie to watch. I want it for me, I love anything relating to the Day of the Dead! I would like to win this for my family because I think they would really enjoy this movie. I would love to win this for my son so we can watch it together! I would love to win this for my daughter because she tends to love all animated films! I would love to win this for my family so we can have a movie night. My niece loved this movie so I'd like to win it as a gift for her. I want to win for my nieces and nephew because we loved this movie. My daughter has been wanting to see this, I'd like to win for her. I would like to win this movie for my family. I love finding movies that we can all watch together. I would love to win this movie for myself and to share it with my family!